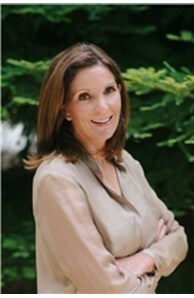 A Broker-Associate in Coldwell Banker’s Oakland-Piedmont office, Julie Bartlett is a Top Producer and member of The International Presidents Circle in 2009. Julie specializes in Piedmont and surrounding neighborhoods of Glenview, Lakeshore/Crocker, Montclair, Temescal & Rockridge. As a pioneer in online advertising in San Francisco in the 90’s Julie understands how to most effectively present and distribute her listings to all major portals and Real Estate sites. Seller’s who have listed with Julie achieve excellent results and receive frequent marketing and advertising updates. Many of Julie’s clients work in technology, the sciences and digital media and appreciate her “always on” accessibility. Whether by voicemail, email or text Julie’s clients are certain to receive quick response to Real Estate questions and details for new listings as soon as they hit the market. Julie’s clients are certain to receive quick response to Real Estate questions and swift document turnaround via Electronic Signatures.